Teaching kids their numbers doesn’t need to be tricky – it can truly be as easy as 1, 2, 3! The trick is to know exactly what you need to teach. When we are teaching young children their numbers it is important to differentiate between teaching a child to count, teaching number recognition, and teaching a child one-to-one correspondence. recognizing numbers is the skill of seeing a “4” and knowing it is a “Four”. And finally, one-to-one correspondence is counting objects one at a time – such as counting 6 ducks on a page in a book. Now that we know there are 3 separate areas for teaching children their numbers, it helps us to understand why this skill can take some time for little ones to learn. 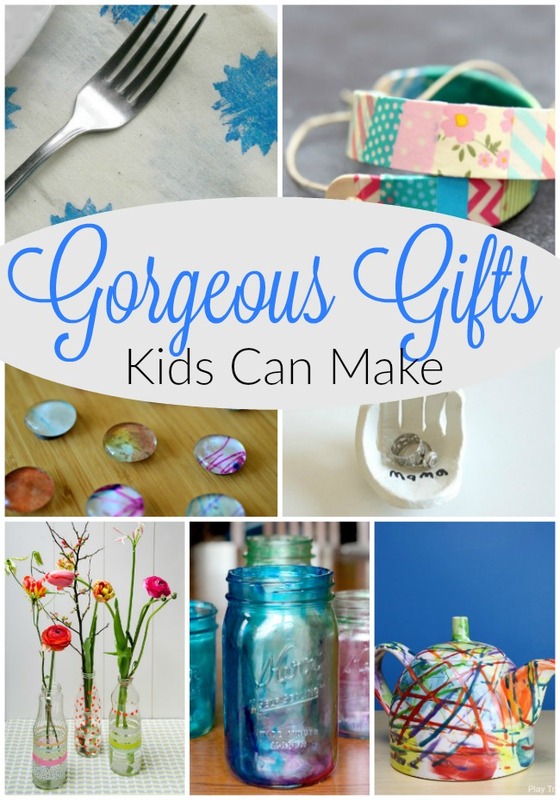 Playing with all three of these areas is key! 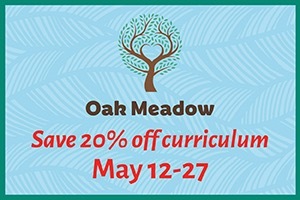 I write in detail about oodles of ways to practice all of these skills (as well as the other 4 math skills preschoolers need to be kindergarten ready) in my eBook, Play into Math Readiness. 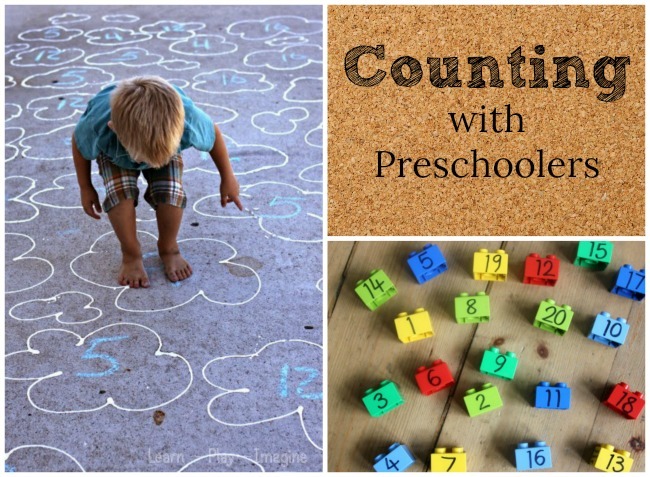 Today, I thought I would share a few fun activities you can play with your preschoolers to help them with the skill of Recognizing Numbers. 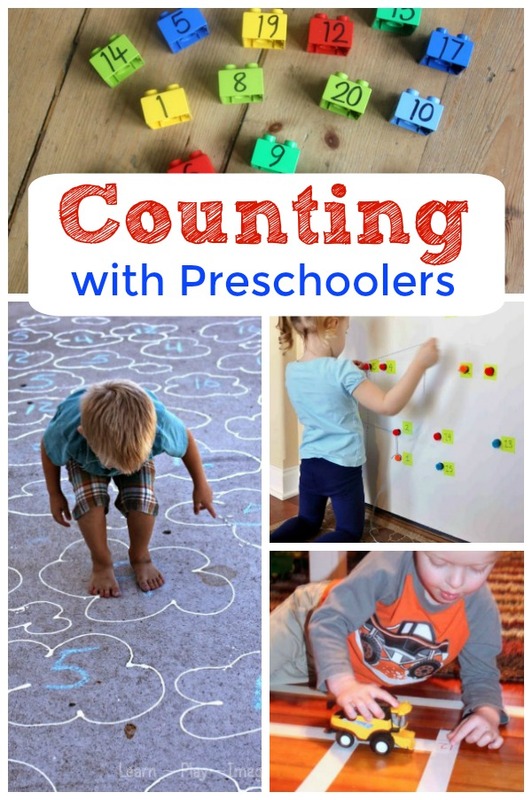 At about the age of 3 or 4 years old preschoolers may begin to show an interest in numbers. Learning to recognize the numbers is an important fundamental math skill. Recognizing the numbers simply means that when my Sammy sees a ‘3’ he can say it is a ‘three’. Here are some ways we play with recognizing numbers. 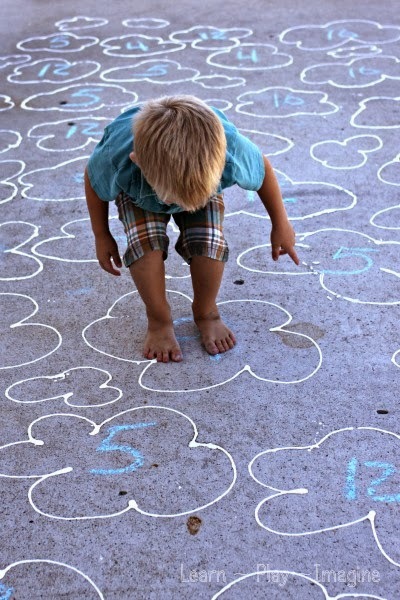 This cloud hopping game by Learn Play Imagine is a great way to practice number recognition with preschoolers! 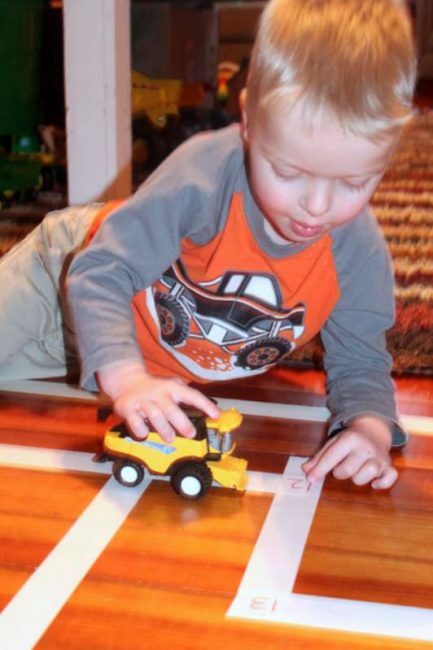 My kids love playing with blocks, and writing the numerals on the side is a great way to practice number recognition. 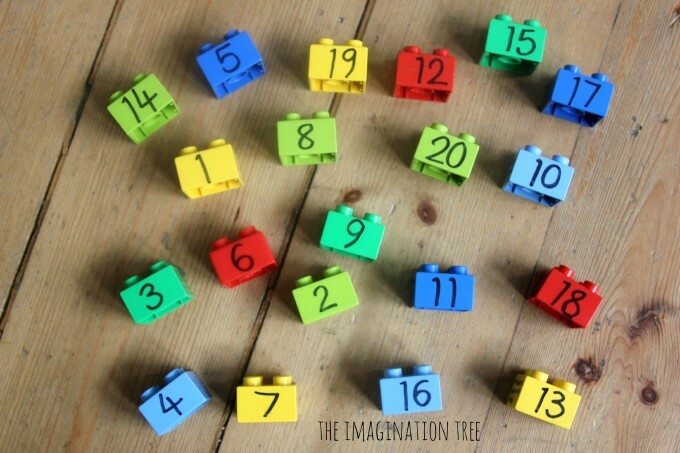 The Imagination Tree wrote about many math activities they use with homemade number blocks. This Monster Number activity was done for Halloween, but could easily be adapted to fit any time of year! 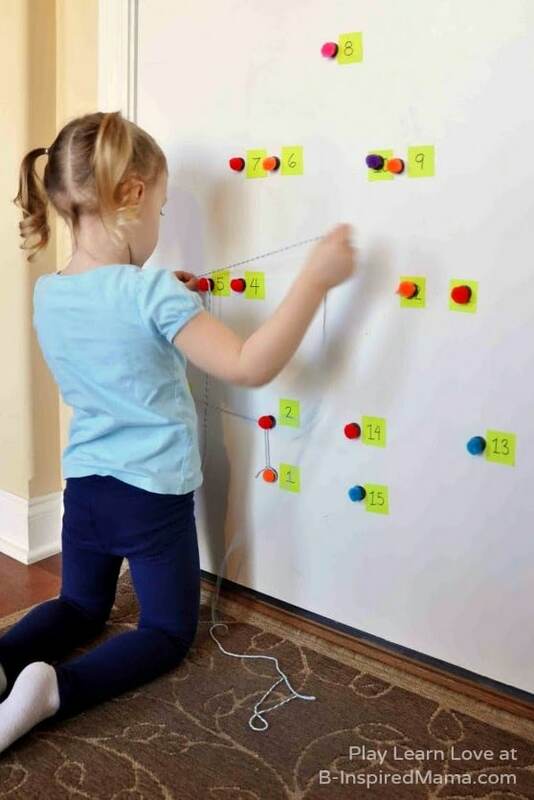 It is a very fun a and simple craft, and excellent for practicing number recognition and tons of other math activities for preschoolers too! 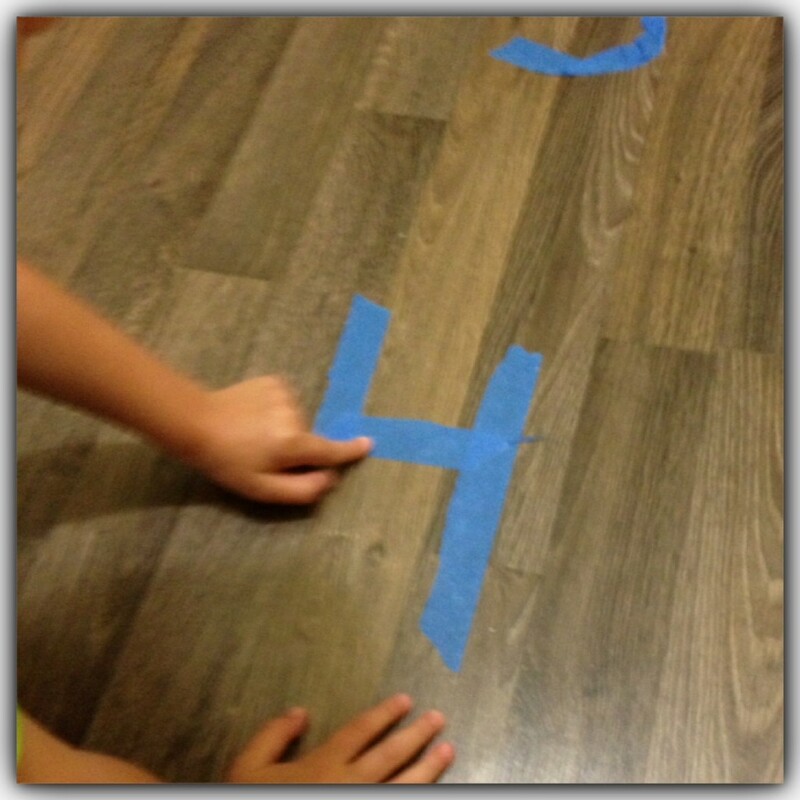 Hands on as We Grow has a fun Number Recognition Maze – a fun and playful preschool number activity! Dot-to-dots are a great way to practice number recognition. B Inspired Mama has a fantastic idea for making a huge dot to dot perfect for preschoolers! Here is a great number song for practicing number formation on Youtube by Dr. Jean. It is also a great rhyming way to help wee ones remember which number is which! 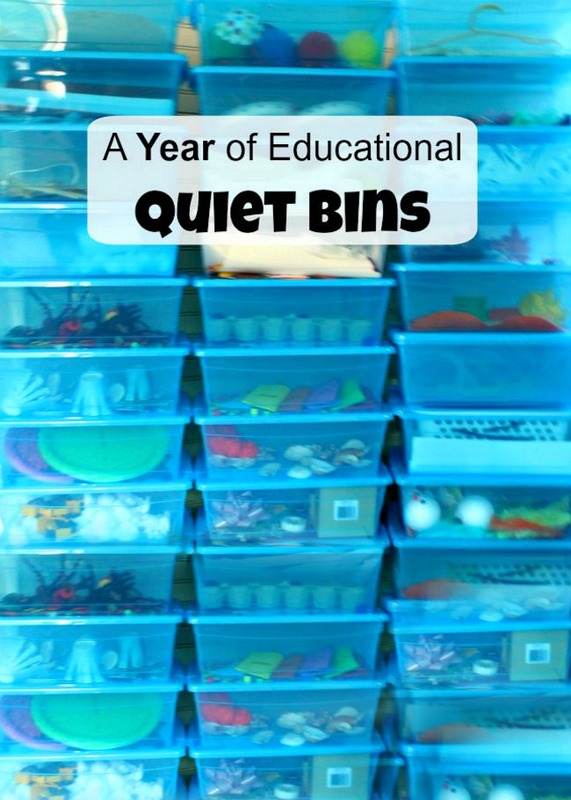 I hope you found some of these ideas helpful – they really are fun ways to practice the skill of recognizing numbers. Teaching kids their numbers is really as easy as 1 (counting), 2 (recognizing numbers), and 3 (one-to-one correspondence)! 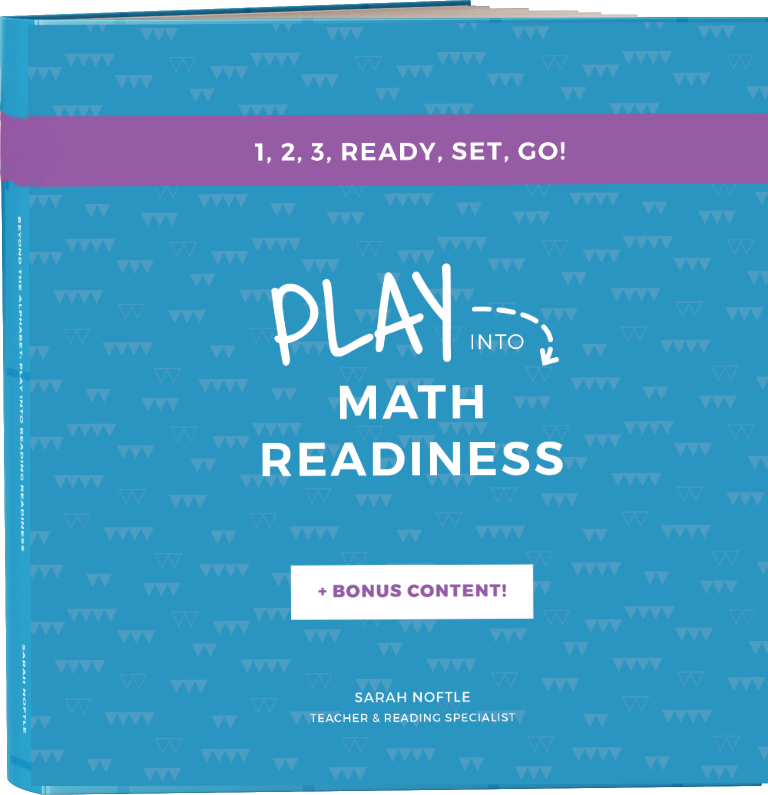 If you want to learn more playful ways to get your little one Kindergarten Ready for Math, please be sure to check out my eBook, Play into Math Readiness! Thank you so much for reading friends, I hope you are having a wonderful day!